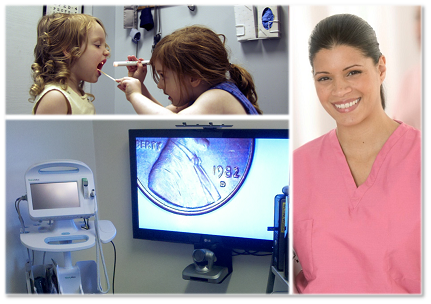 The A-Vu Media product line provides for a complete telemedicine capability at the primary care level. Our provider-based eOffice configuration puts videoconferencing and remote medical diagnostics at the fingertips of facility-based healthcare professionals while the A-Vu patient ePortal places everything necessary for conducting a remote primary care consultation at various community locations including nursing homes, schools, assisted living centers, confinement facilities and occupational health offices. 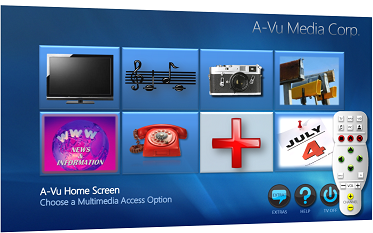 The A-Vu multimedia in-home product connects directly to the local broadband service provider's internet and television access points, thereby placing access to healthcare and a variety of multimedia and entertainment options directly on the user's TV and controlled through a simple user interface and remote. The main idea behind this product is simplicity for the user in a world where access to even the most basic multimedia and remote healthcare services have been severely limited to seniors and disabled persons by the sheer complexity of the interface. The A-Vu eOffice consists of a standard PC outfitted with the essentials for videoconferencing and remote medical diagnostics, including a 37-inch high definition monitor, electronic stethoscope and remote patient camera pan-tilt-zoom control. Providers can also take advantage of the simple yet robust A-Vu user interface to simultaneously view vital signs, otoscope video, microsope camera video, share documents, take photos, make recordings, and access Electronic Medical Records, all while placing distant patients and up to six additional participants including tertiary providers and remote family members in the same "virtual" examination room. Each A-Vu ePortal configuration serves a community-based patient location on a provider-based telemedicine network. These locations can be nursing homes, schools, assisted living centers, confinement facilities and occupational health offices to name a few of the possibilities and are built to be managed by the health care professional assisting the patient with their remote provider consultation. 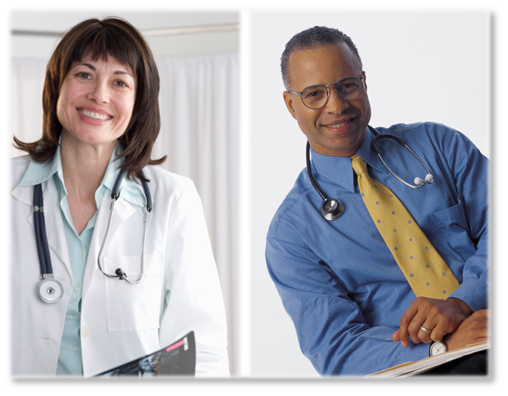 Each ePortal is capable of videoconference connections with not only the primary care provider, but also participating tertiary care providers and family members. ePortals come equipped with a sophisticated, stand-alone videoconferencing system including a remote, provider-controllable, high definition, pan-tilt-zoom camera, a 37-inch High Definition monitor and a digital speakerphone. A separate PC serves as the consultation focal point for peripheral medical diagnostic equipment including a network addressable vital signs monitor, an electronic stethoscope, USB otoscope and a microscope camera. The A-Vu user interface screen is customized for each user and menu-driven with a minimal number of choices on each screen. The user has the option of direct access buttons on the large, user-friendly remote for each main menu item or using the on-screen choices and pointers on the remote to make content selections. There is also a "home" button on the remote if the user gets lost and needs to start over. Users can contact A-Vu customer service for assistance at any time with the push of a button on the remote and customer service representatives are capable of doing anything from talking the user through their issue to actually making content selections for the user remotely.